These are the bands that I’m looking forward to checking out at the 2015 Coachella Music Festival. In the unlikely event anyone cares, here’s the list so far. Best of Luck to everyone that tried to guess my Top 10. All Systems Go! 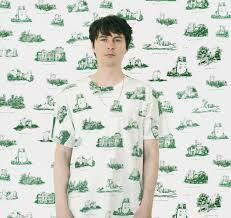 Noah Lennox aka Panda Bear is an experimental rock musician that’s currently based in Portugal. Mr. Lennox began his solo career in 1999 and shortly after was a founding member of the equally experimental act Animal Collective. Under the Panda Bear moniker, Noah has released five studio albums, including his most recent effort back in January. Lennox is also a member of the band Jane, and collaborated on the Daft Punk track “Doin’ It Right,” from the 2014 Grammy Award winning Album Of The Year. There you go, reason to believe Daft Punk will appear at the 2015 Coachella Festival.